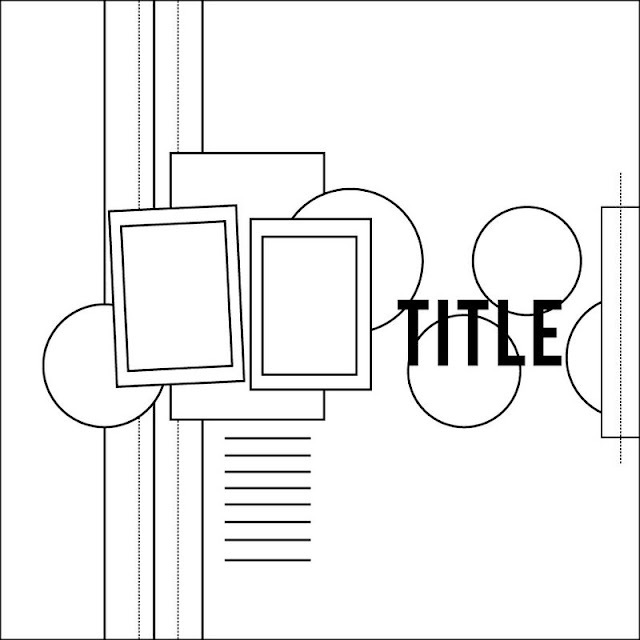 Over the weekend I worked on some layouts for the challenges over at Elle's Studio. She had a kick off party to launch the new tags (there available Thursday). I love Elle's tags so much I could resist to play along. 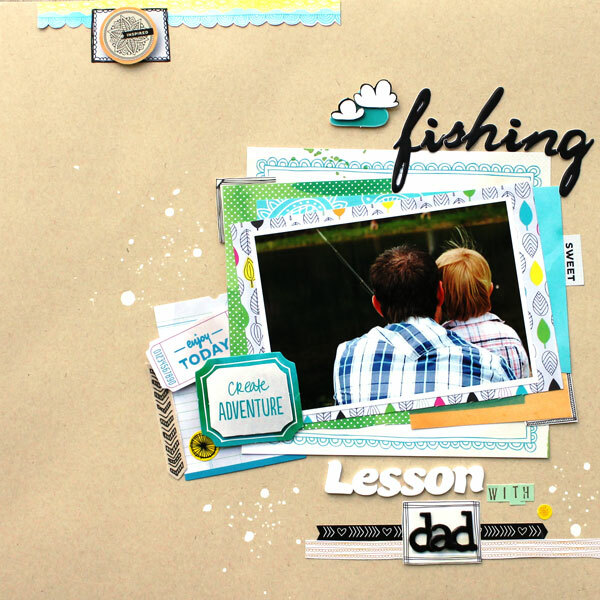 So this layout was for the challenge of using BOLD colors and shapes (any kind). So I used AC's Amy Tangerine Sketchbook. And my shape was the scalloped circles. I used Collected Cutouts, Handmade Layers Pennants, & Make a List Tags. And this layout was created using this sketch as my inspiration. I used the circles in the background and made them out of twine. And do you see the confetti?! Love making confetti! 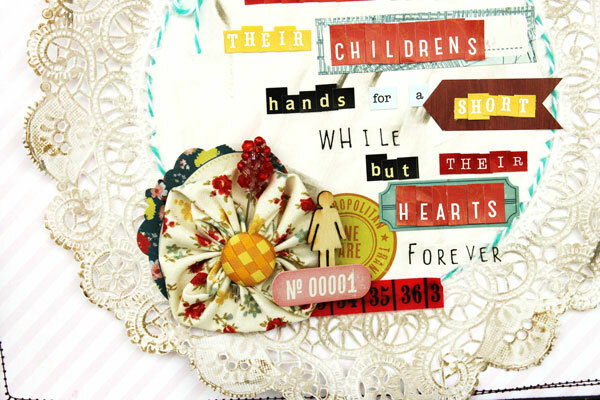 For this layout I used Collected Note Tags, Handmade Layers Dates, & Pieces of Life Note Tags. 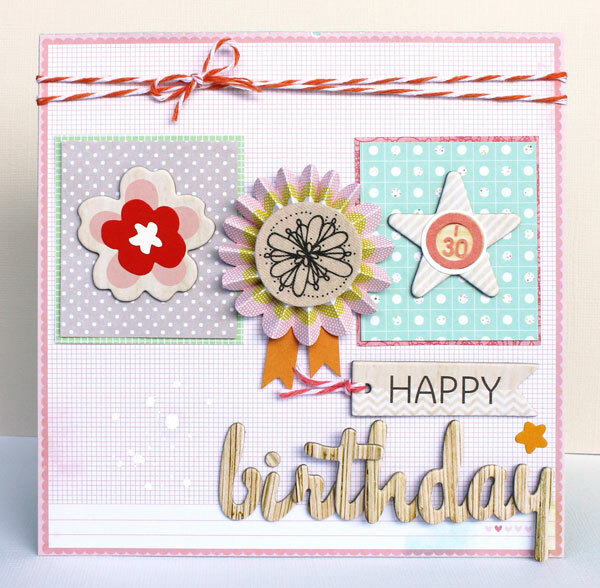 This blog hop is to celebrate Miss Sarah Hill's Birthday! Happy Birthday Sarah!! I hope you have a great day because you deserve it! Here is the card I made for Sarah's Birthday. 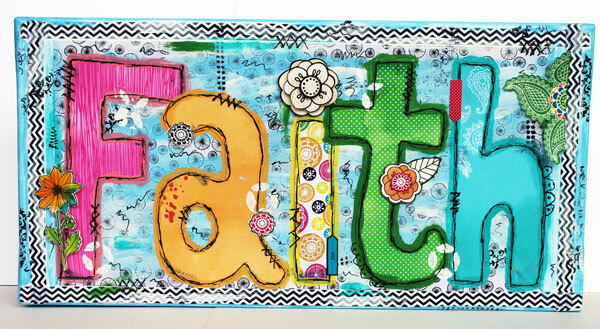 I used the awesome new American Crafts Amy Tangerine papers and embellishments. What's a blog hop with out a giveaway?! So if you hop to each blog and leave a comment back on main blog saying you did we are going to giveaway a $10 gift certificate to on lucky hopper!! And some of us are doing our own little giveaway for commenting on our blog. I'm giving away these washi tapes. Thanks so much for stopping by and wishing Sarah a Happy Birthday! I loved creating with the May kit from The Paper Bakery. There are still a few left but not many so head over to the shop and pick one up today. The kit had papers from Studio Calico and Crate Paper. I saw the cute "contacts" sticker from the CP sheet and thought why not make an address book. And see the big "A" while that could mean address but for me it is my first initial. And I love those little chipboard people from SC. The mini album is an old one I had laying around from Jenni Bowlin. I then took the mini alphas and used for the alphabet part of the address book. Today I wanted to share my take on the new sketch that is up over at Scrapbook Circle. I used the Scrapbook Circle May kit "The Story" and I'm enjoying the beautiful colors in this kit. This is my son flying his new kit. I added some washi tape. I also added a little paint to my layout. 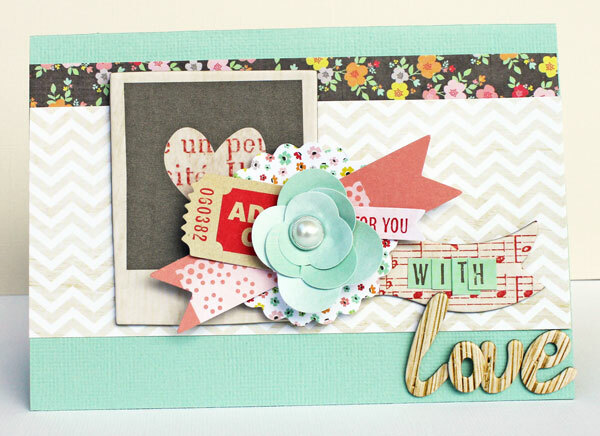 I'm so excited to be the Guest Designer over at American Crafts! I truly love their products and love that they offer so many different lines. The embellishments are just so much fun to layer. I got to work with the 6x6 Paper Pads from the Dear Lizzy & Amy Tangerine lines. They are having a giveaway for some 6x6 pads so be sure to check the blog for more details!! Happy Mother's Day!! I feel so blessed to be a mom of 4 little ones. I'm also blessed to have my mom, whom I'm close to. 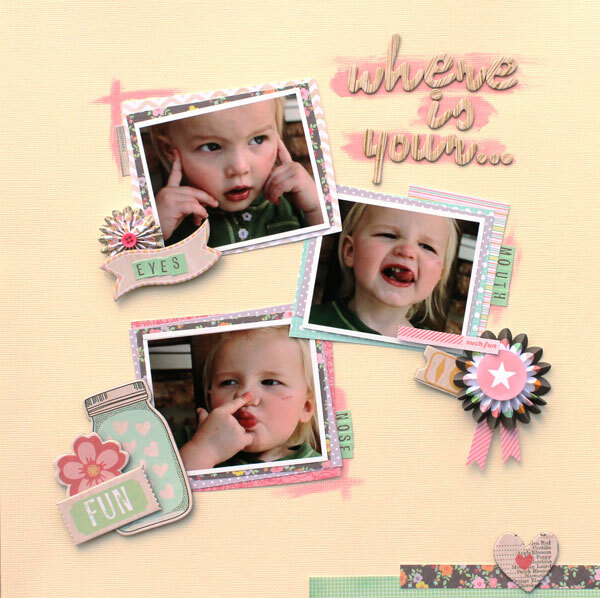 So to celebrate Mother's Day here on my blog I'm sharing a layout I created with the Scrapbook Circle May kit. And also it goes with their challenge #31 to scrap about "Mother's". And I wanted to share a fun tip with you too. I took the dauber that came in the add-on kit and some Martha Stewart texture paint and mixed them together. And then I took a brush and dabbed it on to the mask that comes in the main kit. It gave it such a fun textured look. Here I had fun machine stitching. I loved changing from straight to zig zag. Thanks so much for stopping by!! I hope you have a great Mother's Day!! 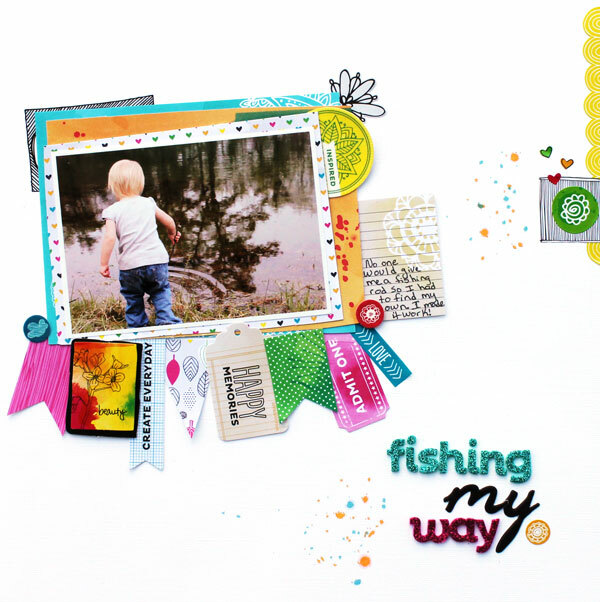 So today I wanted to share 2 more Studio Calico layouts I created for their NSD challenges. These layouts have more paper on them then I'm use to but I like how they turned out and had fun with the colors. Some close ups. I wanted to get a "ruffle" look. Second layout is using 5+ photos. 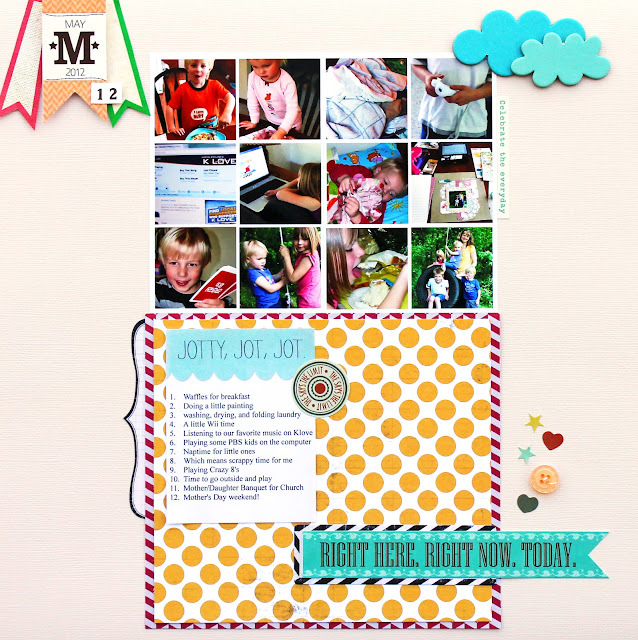 This week I have been working on the NSD challenge over at Studio Calico. I didn't get to scrap on the "big" day last weekend so I'm so happy they extended the deadline till this weekend. 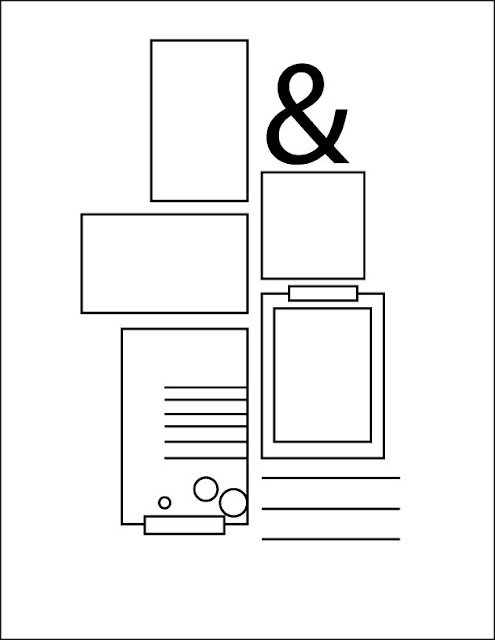 Here are 2 layouts using their sketches. I also used the April kit "City Lights". Some close ups: Here I took the wooden element and cut out a piece from the big circle paper in the add on. 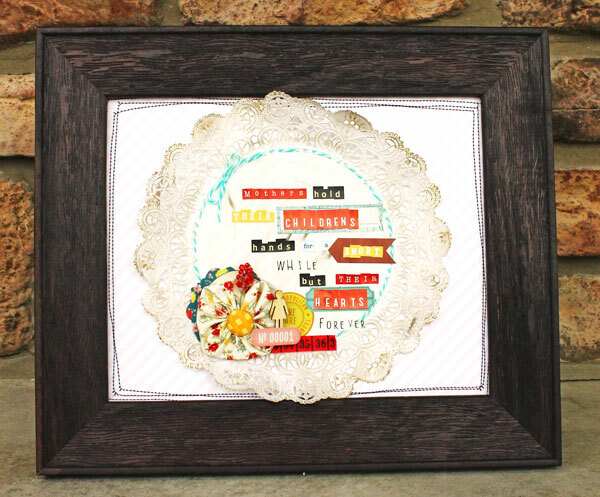 I created an altered frame for Mother's day using The Paper Bakery May add-on kit. I really had fun creating this. I did use some mini alphas from my stash and the frame was mine but everything else is from the kit. I run you through how I made this. 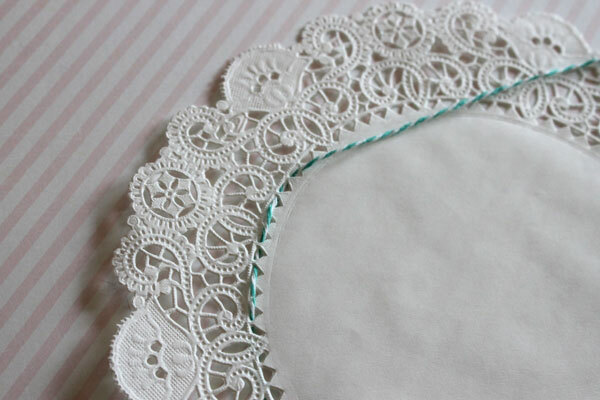 First I took the lace doily that comes in your kit and took the twine that was wrapped around the bag of goodies and stitched around the doily. 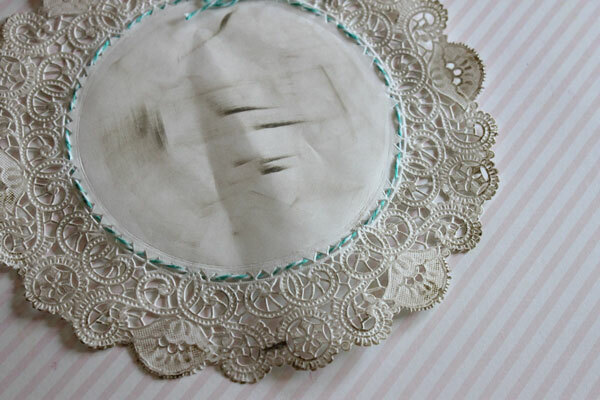 Next I inked the doily. 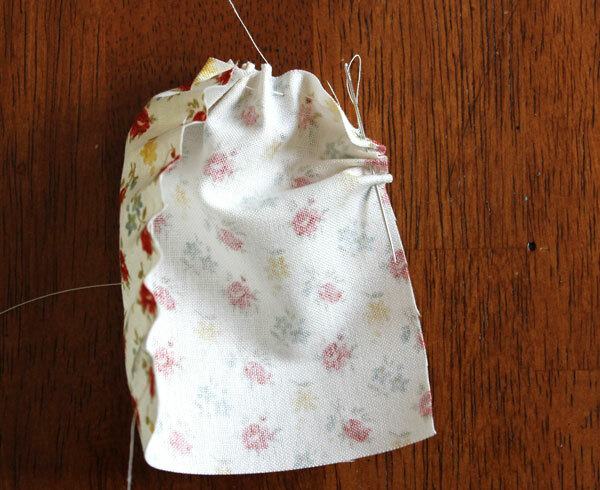 I took one of the square pieces of fabric that comes in the kit and stitched around the square. 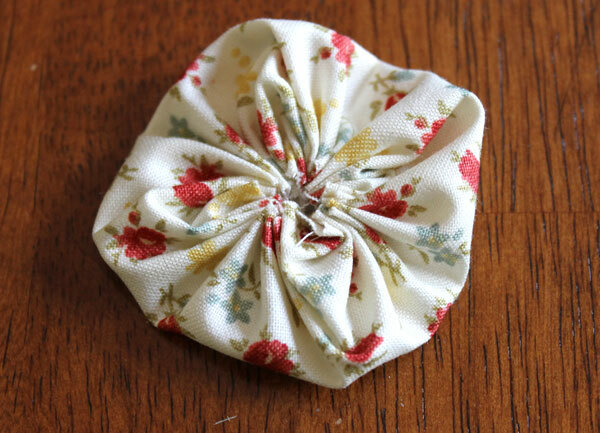 And then pull the stitching closed to make a flower.